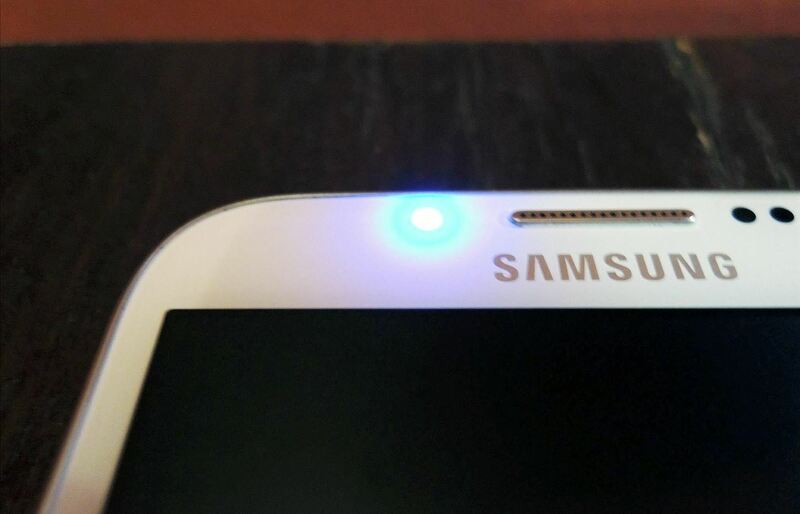 While the Samsung Galaxy Note 2 has an integrated LED for notifications, it only works for a few things, like charging and low battery, and it only flashes two main colors (red and blue) when the screen's off. As someone that usually has their phone on silent or vibrate, it's hard to tell when I receive important messages or notifications. Sure, I could set a specific vibration or ringtone for individual apps, but that can quickly get annoying and distracting, especially at work or school. Luckily, we softModders aren't bound by these limitations. 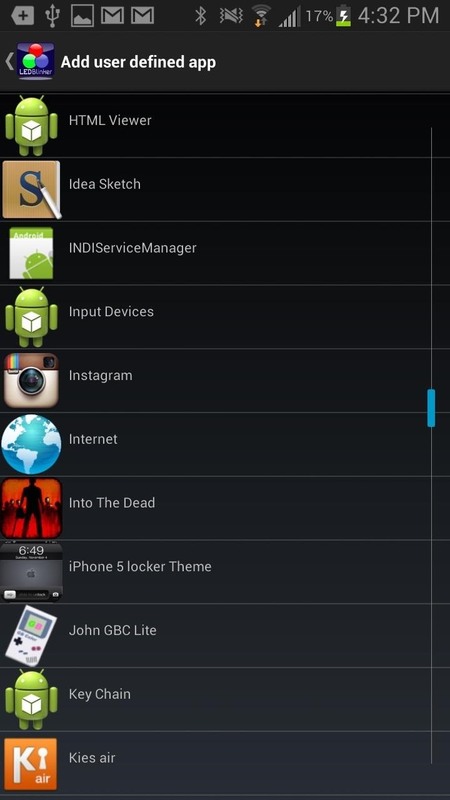 However, most apps that allow you to take complete control over your LED require root. For instance, Faisal covered a good one called Light Manager over at Samsung Galaxy S4 softModder, but it requires root privileges to setup light notifications for apps like Facebook and Twitter. Thanks to Android developer MOST2K2, this is no longer an issue. 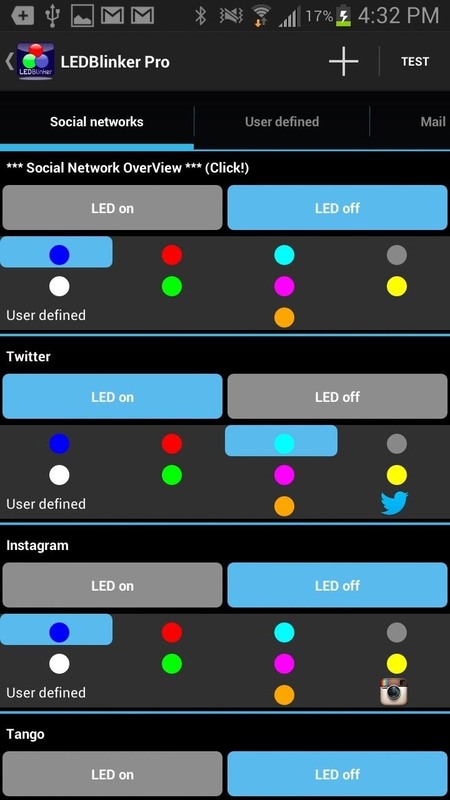 His app, called LEDBlinker Notifications, provides a non-root way to control your LED notifications colors for any app. The lite version of the app allows you to set custom lights for phone calls, text messages, Bluetooth, full battery, and more. With the pro version (showcased in the video above), currently running $1.76 on Google Play, you can set the LEDs to flash for any app alerts by tapping on the large plus sign at the top. Now, there are certain LEDs that will overtake other ones in LEDBlinker Notifications. An example would be setting an Instagram notification to yellow and having a charging notification as white. When the phone is charging, the light will stay white, but will change to yellow for a brief moment when an Instagram notification is received, then back to white. 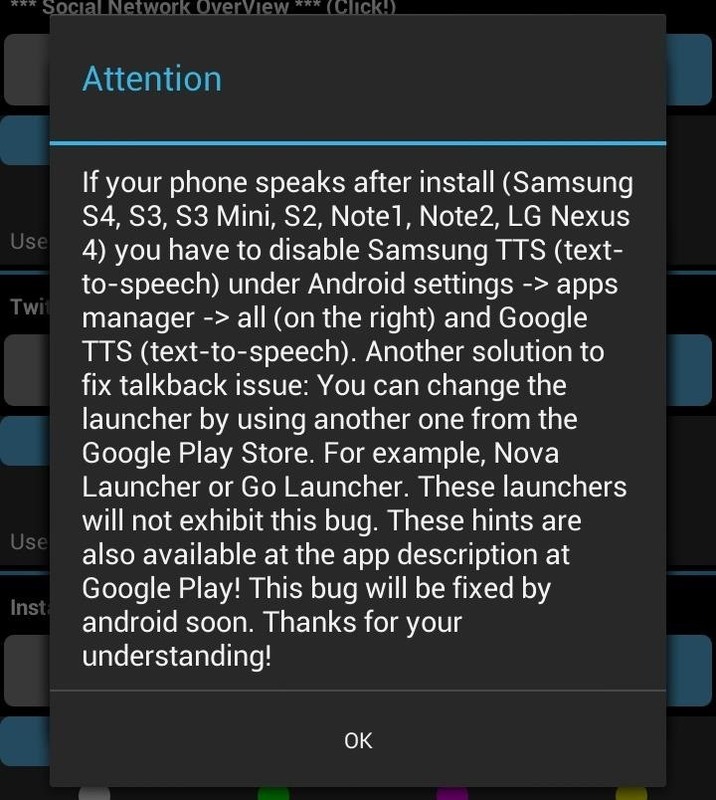 If you're having issues with your phone speaking after install, disable Samsung TTSunder Settings -> Apps Manager -> All and Google TTS (text-to-speech). You can also grab the apps in the Appstore for Amazon, if you use that instead of Google Play. The pro version is more expensive, though, currently going for $2.19. Test out the app and let us know how it works for you.